Virginia Beach Golf Vacation Package - Your Local Golf Experts! A Virginia Beach Golf Vacation is perfect for golfers that want to drive less and play more on their next golf trip. 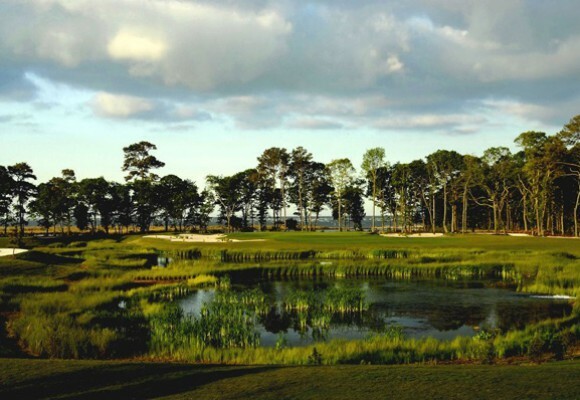 Well known for family fun in the sun Virginia Beach also has a nice collection of golf courses. Close to a dozen championship courses are located within an hour’s drive of the Virginia Beach Oceanfront, several less than 30 minutes. There are numerous accommodation options along the Virginia Beach Oceanfront and also inland near the newly developed Town Center. Golf is played year round in Virginia Beach. Spring and fall is best time to travel with daytime temperatures averaging in the low to mid 70’s, also there are a lot of very playable days November through March. 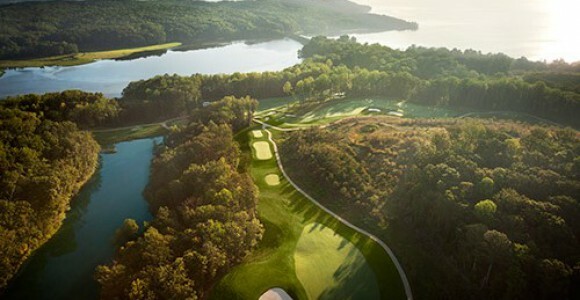 Virginia Beach Golf Vacations is staffed by local experts that can assist you with every step of the planning process. Request a quote or call today! About an hour outside of Virginia Beach, Riverfront Golf Club is a short distance off interstate 64 and best played on your way in or out of town. Architect Tom Doak took full advantage of this unique riverside location design. Riverfront is rated 4 ½ stars by Golf Digest. Riverfront is a must play and considered among Hampton Roads best.